Welcome to Day 3 in the 31 Days of iOSchris. In yesterday’s article, we went through an introduction to Objective-C. With the knowledge from that, we can now start building apps. 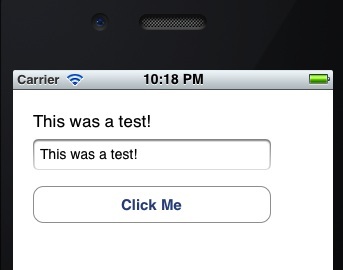 Our first step will be to generate a simple iOS application. 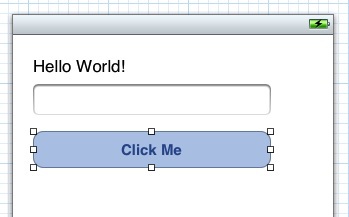 We’ll start with just a Hello World program and then alter that to allow the user to enter some input and tap a button. When they tap the button, we’ll use the text they entered to update a label on the screen. Let’s get started! 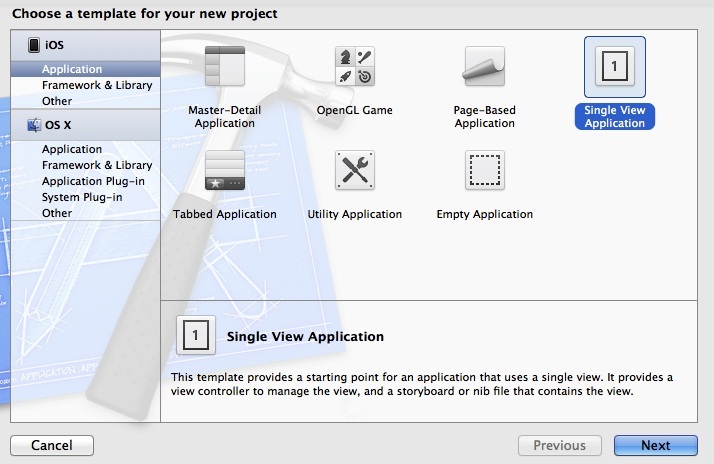 Choose to “Create a new Xcode project.” You’ll next be able to choose a project template. 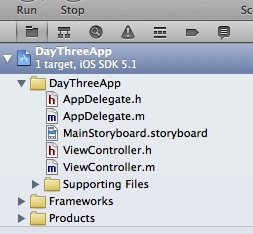 Today we’re just going to create a Single View Application. Later in the series, we’ll look at using some of the other templates. 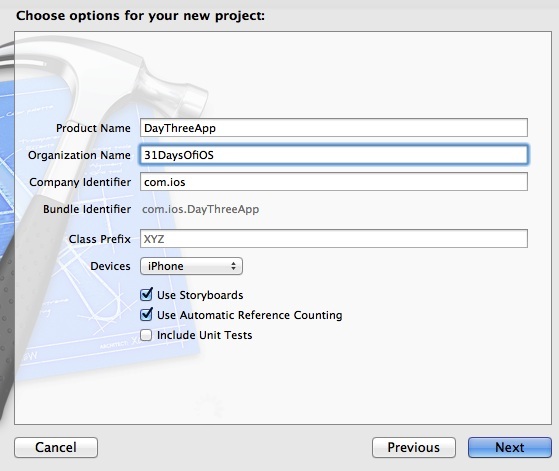 Next, you’ll be able to name your project, enter an organization name, and specify a company identifier. The company identifier is used to generate the bundle identifier which is used as a unique identifier for your application (re: once you put an app in the App Store with a bundle identifier, you can’t change it). A few additional and important options are whether you want to use Storyboards and Automatic Reference Counting (ARC). 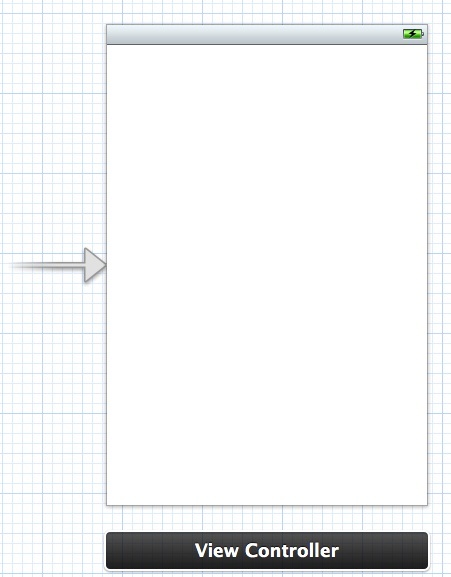 Storyboards are something we’ll use at length and are a new way to handle the user interface for your iOS apps. 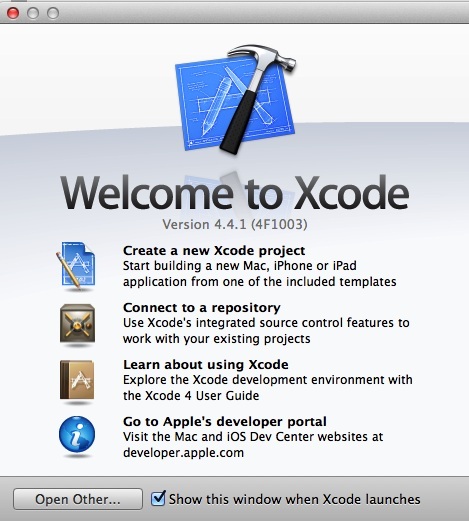 ARC was announced with Xcode 4 and allows developers to somewhat forget about dealing with memory management. Once there, open up Supporting Files/main.m. Here, we see the entry point to our application. 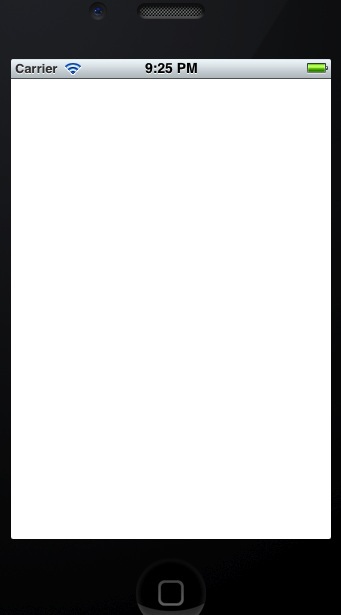 This means that the view in the storyboard is tied to the ViewController class (that was generated when we created the project). 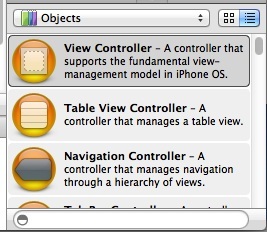 If you open ViewController.h you will see that it extends UIViewController. Opening ViewController.m you’ll see three auto-generated methods: viewDidLoad, viewDidUnload, and shouldAutorotateToInterfaceOrientation. Update 3-7-2013: As of now, the latest version of Xcode will only generate the ViewDidLoad and didReceivememoryWarning methods in the new ViewController. You’ve just finished your first iOS application. 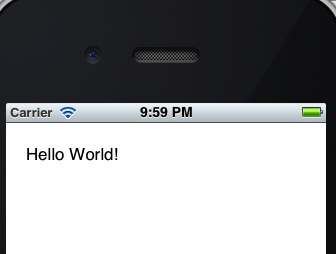 Today we built an actual iOS application. It didn’t do much but it did accomplish one of the most important aspects of mobile applications: it gave the user the ability to do something and it properly responded to input. The bulk of functionality in many apps is this same idea, the user does something, and the app handles that input. We’ll expand on these concepts as we progress in the series. You can download the source code for today’s app here.